Welcome to Refresh Office and Commercial Rug Cleaning. Experts in cleaning commercial rugs across Sydney. We remove stains, dust, allergens and pests effectively from your office rugs. Protect your rugs and your staff by having professionally cleaned rugs. Call us now on 0488 963 678. Professional commercial rug cleaning is an effective way to remove dust and pests which can contribute to allergies and asthma. 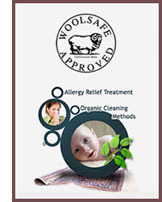 Refresh office rug cleaners use safe, biodegradable, non-toxic and non-irritant chemicals and formula. It is important to be able to identify the type of rug you have in your office. Our experts can ensure your floor rug is cleaned and preserved without damage by using different cleaning methods depending on the material and age. You can expect first class office rug cleaning every time with Refresh Rug Cleaning. Our technicians are experts in steam cleaning and dry cleaning floor rugs.